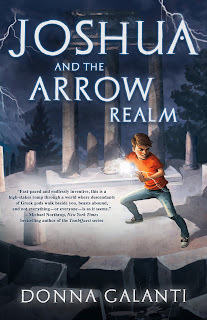 I’m thrilled to unveil the trailer for book two in Donna Galanti’s fantasy adventure Lightning Road series, JOSHUA AND THE ARROW REALM, arriving August 30th. 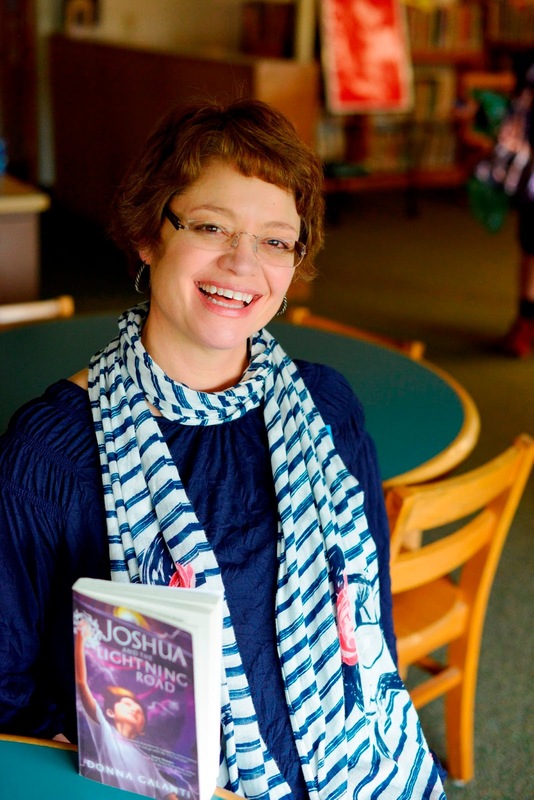 The Midwest Book Review calls book one, JOSHUA AND THE LIGHTNING ROAD, “a heart-pounding thrill ride full of unexpected twists and turns from start to finish.” Grab book one for just $.99cents now through September 20th. Be sure to enter the fun giveaway package at the bottom of this post that includes a paperback of book one, poster of the Lost Realm, bookmarks, and a $25 B&N gift card (U.S. only). Sign up for Donna’s Thunderclap book release campaign and help her zap the world through social media with her lightning message! On August 30th take the lightning road back to a world of beasts, bandits, and heroes in book two of the Lightning Road series. 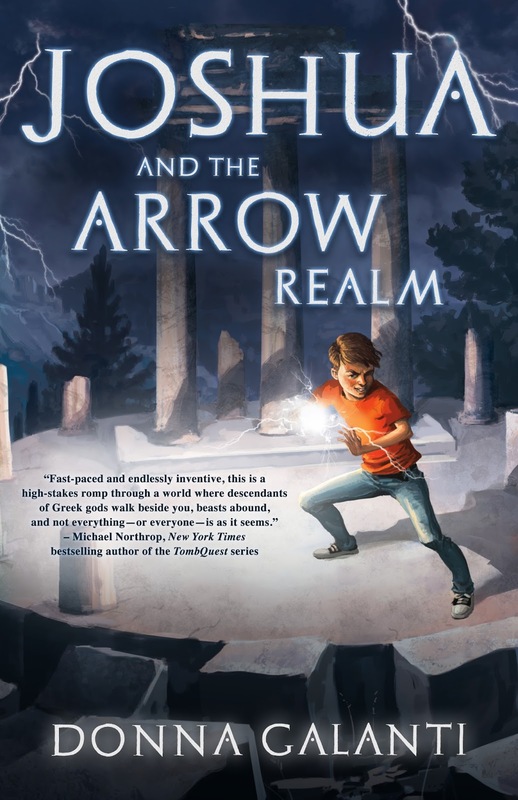 Join Joshua in a new fight for power in the Arrow Realm. Can Joshua and his friends conquer an unstoppable evil? A faint rumble groaned through the whistling wind. Thunder ripped the sky overhead. Lightning flashed. It zinged across the pine trees like brilliant sunlight. A seed of terror flickered inside me. Another flash scorched the sky. Charlie’s smile fell to a frown as he raced across the ice, peering up into the swirling clouds. We both knew what lightning could do. Suddenly, sneaking outside for a moonlit sled ride before Bo Chez got home from his monthly poker game didn’t seem so smart. The sleet turned to snow. Icicles flew off trees like glass splinters, shattering on the hard snow. As I shot toward the pond, a tree on the edge moved. Its branches swayed in the swirling snow. It wasn’t a tree, but a girl! She stumbled through the mad flurry, arms outstretched. Gusts snatched the words away as my sled hit the ice and careened out of control on the bumpy surface. The girl staggered and fell onto the pond. I twisted my sled away to avoid hitting her and smashed right into Charlie. With a yelp, he pulled me up, and we clumped toward the girl. We lifted her up, half dragging her back up the hill to the house in the pelting snow and sleet. “Who is she?” Charlie yelled. “No idea,” I yelled back. He said more, but his words were lost in the wind. My lungs burned with the cold and effort. There was only one reason someone would appear with lightning—to steal us. This girl might appear like a waif unprepared for a storm but I couldn’t trust that’s all she was. E-book ARCs are available for this next thrilling book in The Lightning Road series! Email donna(at)donnagalanti.com for copies and specify the format you’d like.